She’s a lovely, mysterious name with a very current sound. Thanks to Megalady for suggesting Doveva as our Baby Name of the Day. 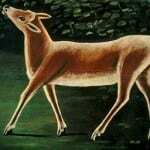 Doveva is a contender for rarest names ever profiled on AppMtn. She’s almost entirely absent from US census records, and has never cracked the US Top 1000. The avian Dove and lovey Dovie have fared slightly better. 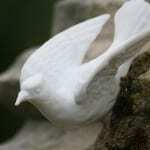 Doves, after all, are highly symbolic birds, standing in for such weighty concepts as the holy spirit and world peace. Plus there’s Paloma, a Spanish word for dove with great style as a girl’s name, as well as plenty of other avian-inspired appellations. 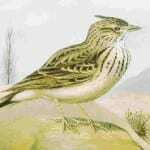 As it happens, Doveva is almost certainly unrelated to the bird. Dov is a Hebrew masculine name meaning bear. Others claim it means talker. Lastly, it could link to an Old Testament name, Tobiah. While the sounds are distinct today, the original Hebrew sounds more like Toviyah – closer to Doveva, though still something of a stretch. Regardless, Doveva is part of a cluster of names – Dova, Dovit – likely from the same Hebrew roots, though I did find a Dova with a fantastically unique name story. As sounds go, ev- is big these days, with choices like Everly and Reverie picking up steam, as well as some of the more vintage possibilities. While sometimes a Hebrew name will feel almost reserved for families of Jewish faith or lineage – Hadassah is difficult to picture without some ties to Judaism – Doveva isn’t in that category. There’s also a quirky twist to Doveva – Italian speakers are already thinking that doveva is a form of the verb dovere. The simplest translation is “to owe,” but it implies a duty more than a debt, along the lines of “you owe it to yourself.” Or the phrase “doveva succedere” – it had to happen. There’s no evidence that the verb has inspired a given name, but it is tempting to twist this coincidence into a new meaning for Doveva. File Doveva under true rarities for parents seeking something their daughter will never share. She’s a strong possibility for parents seeking a quietly Hebrew name that would work in modern Israel – the only place you’re likely to meet another. Some might assume you’ve invented Doveva, but there’s just enough history here to keep her on the right side of genuine. I love this name so much. It’s so unusual yet it doesn’t feel outrageous. The name is soft and elegant, with dove being right in the front, yet strong with the bear undertones. If only I could get my husband on board now. Goodness, Doveva is gorgeous. I’m having a love affair with the “v” sound right now, so this name is happily going into one of my lists. Thanks for looking into Doveva. I’ve loved this name ever since I came across it looking for a longer name for Dovie, a name on my family tree. And I like “graceful as a bear” as a potential meaning. From a video I once saw, these critters are pretty agile and adept at tumbling. Love this one! Very nice. Might prefer spelling it Doviva. Doveva is very pretty! I too was pronouncing it doh-vee-va at first, oops. I was at Bennigan’s the other day and our waitress was Dava, prn Day-va. That’s really pretty too. goooorgeous! ..even if i was pronouncing it doh-vee-vah at first…. She does feel like Genoveva, doesn’t she? And I agree – I really like this one!